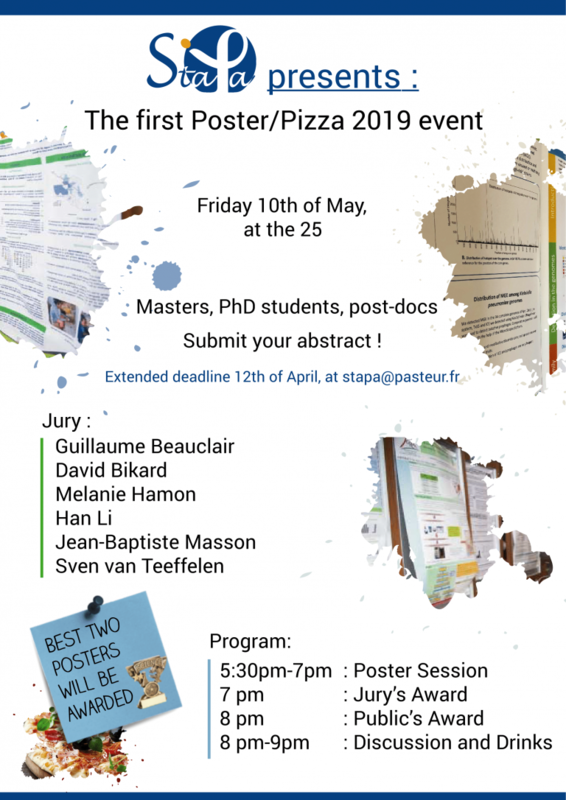 The first Poster/Pizza 2019 event will be held on May 10, 2019 from 5.30pm at "The 25". Topics will range from basic life sciences to advanced materiel and technologies. 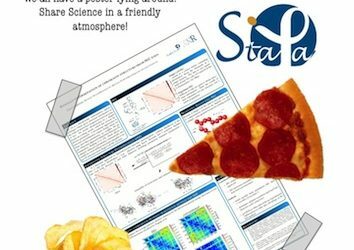 We are convinced that this will be an excellent opportunity to encourage new interactions and ideas, broaden your scientific vision, and practice sharing your work with a scientifically diverse public. 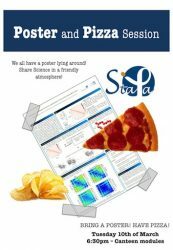 The two best posters will be awarded: one will be chosen by a jury and the other one by the public. We invite all the Masters, P.hD. 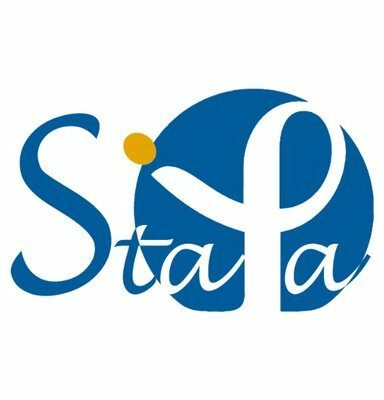 students and Post-Docs to submit their abstract before April 5, 2019 April 12, 2019 to stapa@pasteur.fr.